Contact us with your plans/requirements by phone, email, post or via the web. To assist in selection, visit our extensive showroom where we can discuss your needs. Our showrooms feature working examples of our beautiful timber products. Following receipt of your detailed plans/requirements our sales team will provide a detailed quotation. 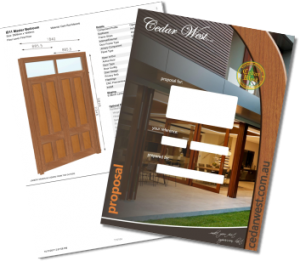 Upon receipt of your written order we will start the drafting process which involves all details being confirmed in writing, including; glass, hardware, joinery styles, site services and known custom extras. 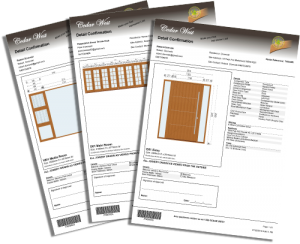 All drawings must be signed prior to manufacture by the client or builder. If required a site consultation will be scheduled where we can take site measurements and discuss your needs in more detail. At this stage all details and contacts are forwarded to our production department for manufacture and co-ordination of delivery and installation (if required). Following receipt of progress claims goods will be released for delivery/pickup. Production management will liaise with you regarding ETA to co-ordinate with site time requirements. Logistics mode, address and details will be confirmed at this point. Production management can liaise with your site personnel and our professional contractors to co-ordinate the installation of your joinery (if required, installation available in selected areas only).